Restores the original Purgatory recruitment scene for the ME2 engineers. 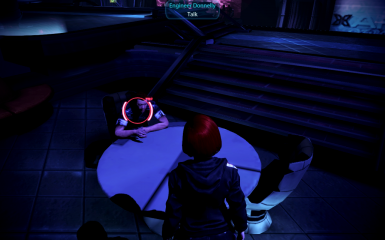 This mod restores the original Purgatory recruitment scene for Ken and Gabby (or just Ken if Gabby died). 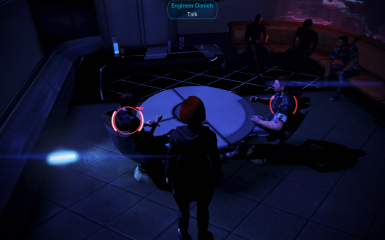 The dialogue will be slightly different depending on whether Shepard is more renegade or paragon. DLC Patch dlls need to be installed in the Mass Effect 3\Binaries\Win32 folder. If you've installed any other mod that's packaged as DLC, (e.g. BackOff, EGM, MeRecalibrated, the latest MEHEM, etc) then you should already have these. Copy the DLC_CON_KenGabby folder to your Mass Effect 3\BIOGame\DLC folder. That's it! You have AVPen to thank for this super easy install. Go check out his mods. If you have the SinglePlayer Controller Mod, you'll need to generate a GUI mod compatibility pack with ME3 Mod Manager.